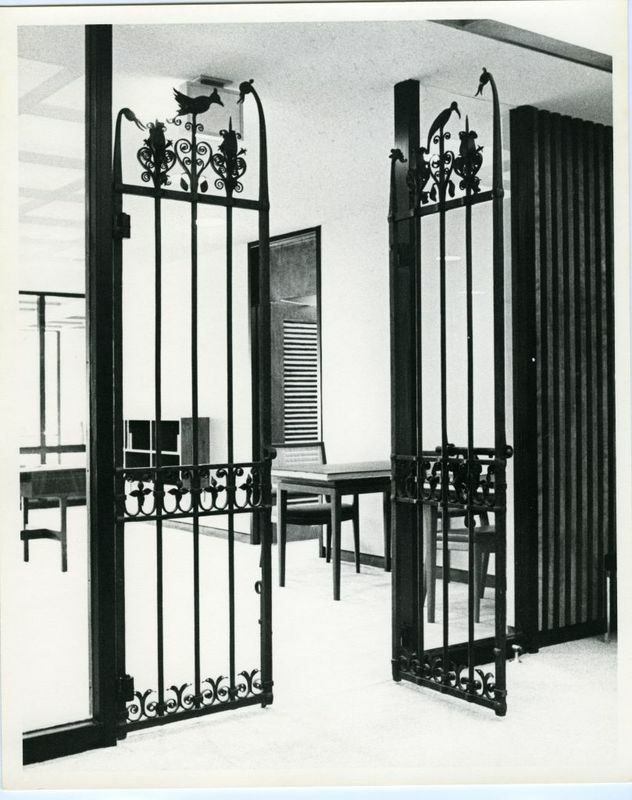 Yellin Gates (one gate open) at the entrance of Special Collections & Archives, Hawthorne-Longfellow Library, Bowdoin College. The decorative iron gates were made ca. 1926 by Samuel Yellin, a Russian emigre, who became a Philadelphia metalwork designer and craftsman.